According to news reports, technology giant IBM’s Blockchain main net has been released out of the company’s data center in Melbourne in Australia. With this release, customers will be able to run their apps on IBM’s cloud. This new platform has been built on the Hyperledger fabric, which is hosted by the Linux foundation. A new IBM data center is scheduled to open in Sydney by the end of March, adding to the list of centers already open in Tokyo, Dallas, Toronto, London and Sao Paulo. According to the head of IBM’s Australia and New Zealand Blockchain division Rupert Colchester stated that a second data center would make the new technology more widely available. The financing division of auto giant GM, General Motors Financial announced that it was teaming up Spring Labs, a Blockchain-based startup, to develop solutions for identity verification. Spring Labs, on its part, stated that GM was looking at getting a stake in the startup, besides other use cases. GM, however, declined to comment on whether this claim was true or not. The Co-founder and Chief Executive Officer of Spring Labs Adam Jiwan stated that their company was actively looking at developing Auto Finance as well as use cases tailored for GM. According to crypto and Blockchain research and analytics firm Diar, BTC (Bitcoin) transaction fees have fallen to new lows and have now decreased to 2014 levels. In 2017, transaction fees for the crypto skyrocketed, before slowly beginning to decline from the beginning of 2018. Finally, now, a year later, BTC’s transaction fees have dropped to their lowest since 2014. The research firm also stated that median fees had also fallen to levels not seen since 2015. Diar said that this was the case despite the total per month Bitcoins moved on-chain were at levels higher than seen throughout last year. 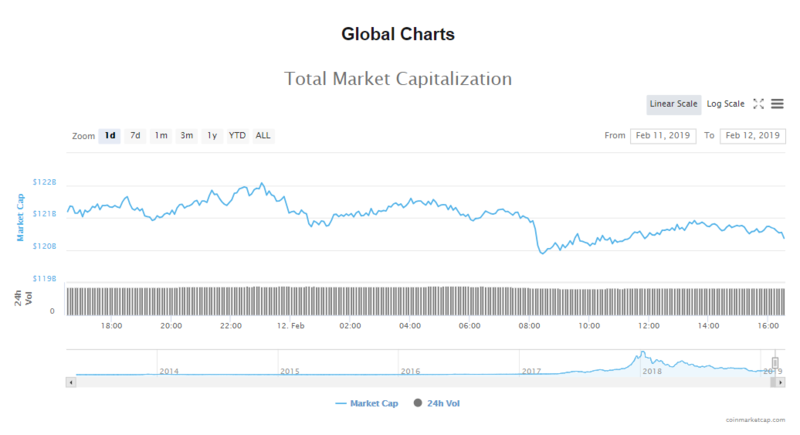 The gentle slide downwards continues for the cryptocurrency market, with capitalization dropping to $120.35 billion in the last 24 hours. Trade volumes in the market are now $19.98 billion. Bitcoin’s downward slide also has started once again, with the crypto down by 0.84% to $3626.20. Bitcoin’s worth in the cryptocurrency market is now $63.58 billion and the token’s trade volumes stand at $6.23 billion. The Ethereum token’s price is now 120.73, which is a 0.21% decline since yesterday. The most valuable altcoin in the world now has a capitalization of $12.65 billion and trade volumes are $3.08 billion. The declines in the 10 most valuable cryptos in the market have increased in the last 24 hours. EOS is the only exception, showing marginal gains of 0.73%. The rest of the token prices are down, with Tron leading the way with a 4.92% drop. Litecoin has slipped by 2.99% and Bitcoin Cash has lost 2.82% of its token value. Bitcoin’s token price is $3626.20, declining 0.84%. Bitcoin’s market worth at this time is $63.58 billion. Ethereum’s token price is $120.73, declining 0.21%. Ethereum’s market worth at this time is $12.65 billion. Ripple’s token price is $0.300872, declining 1.01%. Ripple market worth at this time is $12.39 billion. Litecoin’s token price is $43.32, declining 2.99%. Litecoin’s market worth at this time is $2.61 billion. EOS’s token price is $2.77, gaining 0.73%. EOS’ market worth at this time is $2.51 billion. Bitcoin Cash’s token price is $121.04, declining 2.82%. Bitcoin Cash’s market worth at this time is $2.13 billion. Tether’s token price is $1.00, declining 0.31%. Tether’s market worth at this time is $2.02 billion. 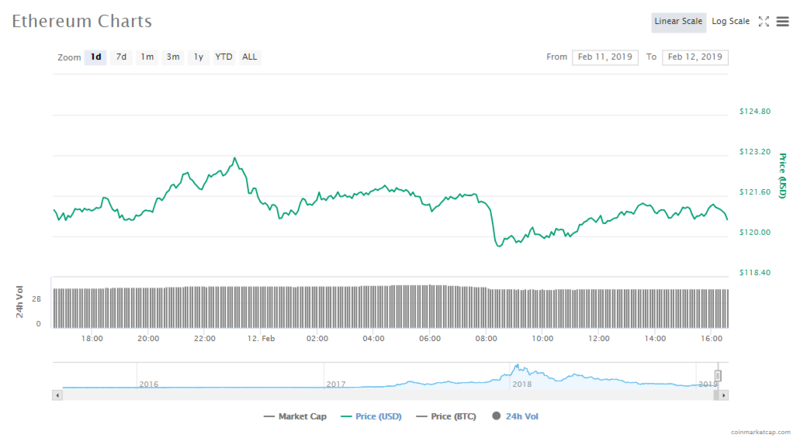 TRON’s token price is $0.024487, declining 4.92%. Tron’s market worth at this time is $1.63 billion. Stellar’s token price is $0.077159, declining 2.60%. Stellar’s market worth at this time is $1.51 billion. Binance Coin’s token price is $9.46, declining 1.67%. Binance Coin’s market worth at this time is $1.33 billion. The first week of the last month of the year has ended well for the cryptocurrency market, with most of the cryptos finally showing green in trading. After a week of hitting new YTD lows, the world’s most valuable cryptocurrency, Bitcoin, finally closed last week closer to the $3.7k mark. According to mainstream media reports, Citigroup and Nasdaq are a part of a group of companies that have invested in Symbiont.io Inc. According to news reports Galaxy Digital Holdings, Mike Novogratz’s cryptocurrency merchant bank is also another investor. In total, these firms are investing $20 million in this startup. A Chinese survey of 4,200 respondents has shown that 40 percent are willing to invest in crypto in the future. It was PANews that conducted the survey. According to the answers gathered during the crypto-related survey, about half of all the respondents had heard of the following terms: cryptocurrency, digital currency, or Bitcoin (BTC). 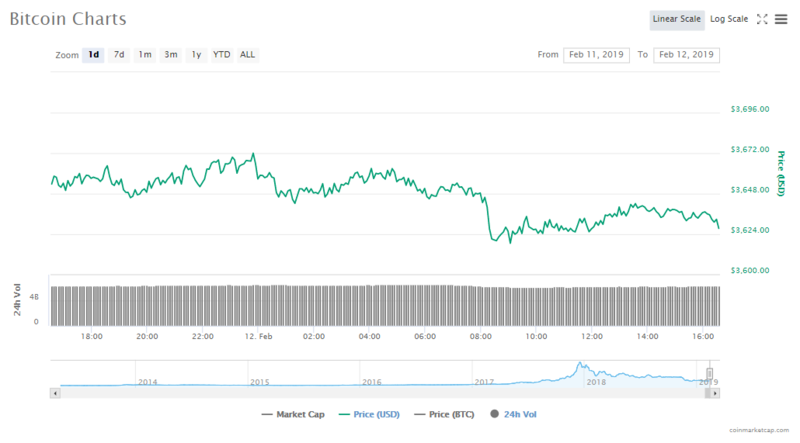 Canada-based cryptocurrency exchange QuadrigaCX announced on its webpage on January 28 that it was down for maintenance. The exchange has been unavailable for comment since then. QuadrigaCX, which has been embroiled in legal issues with CIBC (Canadian Imperial Bank of Commerce), has not posted any update on its website either.